By 2009, Apple and Google were on a collision course. 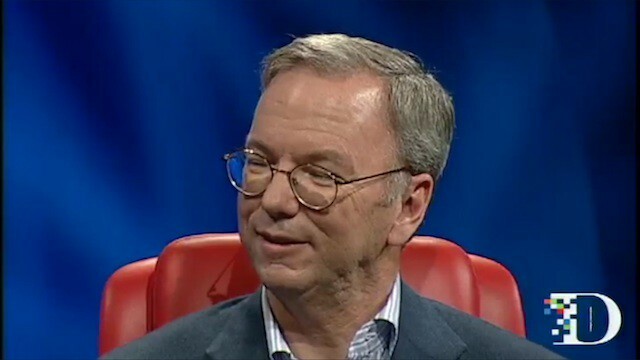 August 3, 2009: Google CEO Eric Schmidt resigns from Apple’s board of directors amidst increasing competition between the two companies. The root of the problem? The growing feud over Android’s encroachment on iOS. Schmidt’s tenure on the Apple board was not an especially long one. He joined on August 29, 2006, the year before the iPhone launch. Both inside and outside the boardroom, Jobs demanded loyalty from Apple board members. This occasionally led to accusations that they were not quite as independent and vocal as some would like. Bringing the head of a competing tech powerhouse into Apple’s business proved to be a challenge. Despite initially operating in different businesses, by the mid-2000s there was considerable crossover between Apple and Google. The most notable area was the companies’ movement into mobile phones. However, Apple and Google also built rival web browsers (Safari and Chrome). They fielded rival photo software (iPhoto and Picasa). And they operated rival video services (iTunes and YouTube). The companies were clearly on a collision course. It seemed clear that Schmidt, at some point, must decide between his two roles. There was an additional reason for Schmidt’s resignation. Earlier in 2009, The New York Times reported that the Federal Trade Commission was investigating the close ties between the boards at Apple and Google. The reason? A potential violation of the Clayton Antitrust Act of 1914, which bars board participation from rival companies in cases where this could reduce competition. Ultimately, the Apple-Google relationship became a lose-lose situation for all involved. If Apple and Google worked too closely together, it was viewed as a potential antitrust violation. If they competed against one another, Schmidt would need to step out of Apple board meetings for increasingly substantial periods during discussions of confidential matters. In the end, it’s likely that Jobs regretted his decision to bring Schmidt on board. Not long after Schmidt left, Jobs threatened Google with “thermonuclear war” over the alleged ripping off of the iPhone UI for Android. With Schmidt having been on the Apple board during the development of the iPhone and iPad, Jobs felt he had let his guard down. In some ways, this looked like a repeat of Apple’s relationship with Microsoft in the 1980s. Microsoft founder Bill Gates worked on the Macintosh, only to turn around and release his suspiciously similar (and legally similar) Windows operating system a few years later.